Used mixer in good condition. 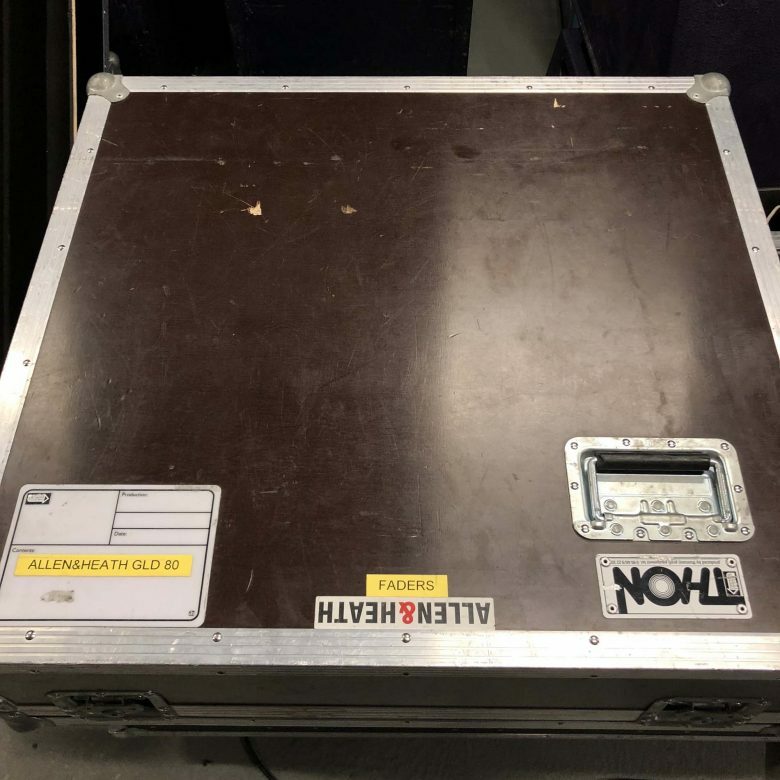 Comes with Thon flight case. The stagebox comes with a road ready case. GLD-80 has an analogue-style channel processing control section complemented by a graphical 8.4 inch touch screen. A fully-customisable drag ‘n drop layout allows quick and easy assignment of inputs and mixes to fader strips. There are 20 fader strips in 4 layers, each with motorised fader, a channel LCD display which can be named and colour-coded, plus a rotary control for direct access to gain, pan and aux/FX sends. The mixer‘s local I/O comprises 4 XLR mic/line inputs, 4 XLR line outs, 4 RCA inputs, 2 RCA outputs, and digital outputs in SPDIF and AES3 formats. GLD-80 connects to a range of plug ‘n play I/O racks to build systems with up to 48 microphone inputs. A primary AR2412 or AB168 dSNAKE device, a secondary (daisy-chained) AB168 or AR84, and a further AR84 expander rack can all be connected over 120m CAT5 runs using A&H’s dSNAKE protocol. dSNAKE provides control to the remote preamp, and automatic firmware updates to the AudioRacks. All dSNAKE ports are also compatible with the ME Personal Mixing System. GLD has the ability to record and playback a stereo signal on a USB memory stick. 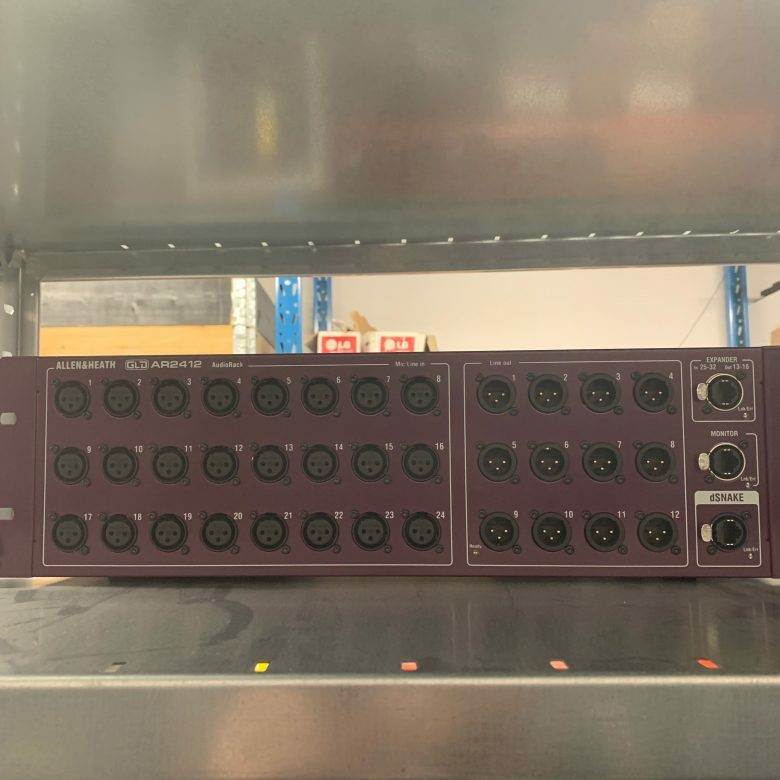 Standard iLive audio I/O option cards for Dante, MADI, EtherSound and Allen & Heath’s ACE protocols can be fitted, allowing multi-channel record/playback, FOH/monitor splits, and connection to A&H iLive systems, which can easily be configured using GLD’s extensive soft-patching. GLD offers 6 compressor models, all freely available on all input and mix channels. The models capture the audio nuances and non-linear ballastics of industry classics, ranging from slow-opto release, RMS detection, fierce Punchbag,through to super-fast peak compression/limiting. All models also encompass additional essential features, parallel path mode for convenient wet/dry compression balancing, comprehensive sidechain filter and gain reduction histogram. GLD’s new advanced automatic mic mixer (AMM) features make it perfect for mixing conferences, panel talks and TV shows. The AMM can be configured to work across 44 microphone sources, allowing the user to select which inputs should be auto-mixed without the usual restrictions of a 16 channel insert based system. The AMM can be set to work in two modes – ‘D-Classic’ dynamic gain sharing for a simple quick set-up, and ‘Number of Open Microphones’ (NOM) logic gate technology for a more flexible and sophisticated auto mix. GLD offers 8 stereo RackExtra FX engines with the additional buses and channels to handle them all without compromise, including 8 dedicated short returns with 4-band PEQ. Each FX engine has access to a Library containing no less than 19 different units and hundreds of editable factory presets. The full spectrum of FX units is included, such as reverbs, phasers, pitch shifters, sub harmonic synthesizers, transient processors and rotary speaker emulators. All units have been recreated with familiar knob layouts, and back panels for patching as send/returns or as channel inserts. Whether it’s for taming vocals and instruments, polishing mixes, or being creative, a full menu of dynamic tools is also on offer, including de-essers, Multiband Compressors and Dynamic EQ. 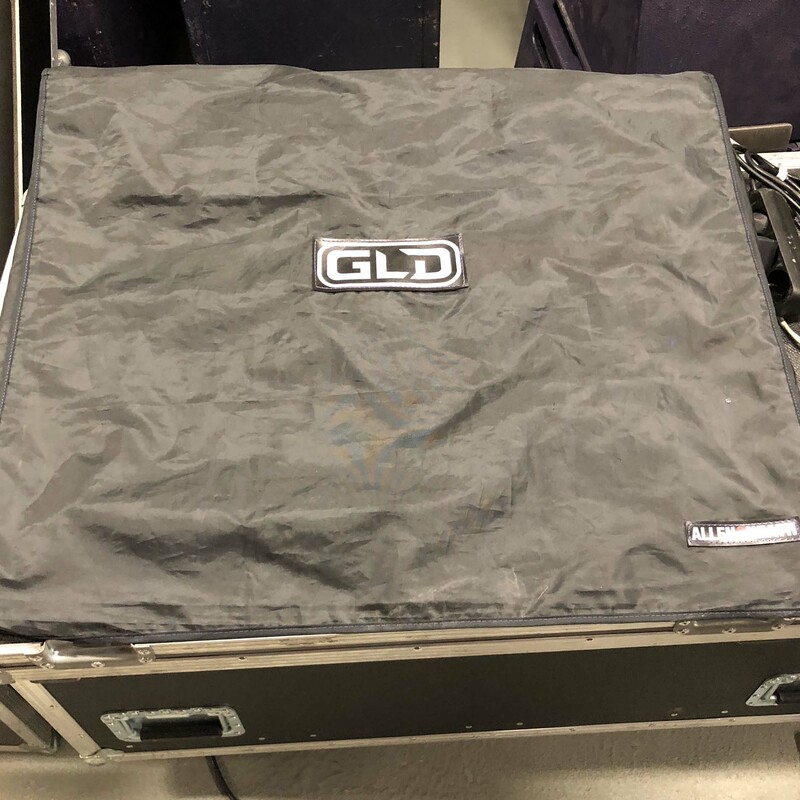 The GLD Remote app provides wireless control for GLD-80, giving the engineer the freedom to walk the room or stage and control the sound right where it is needed. 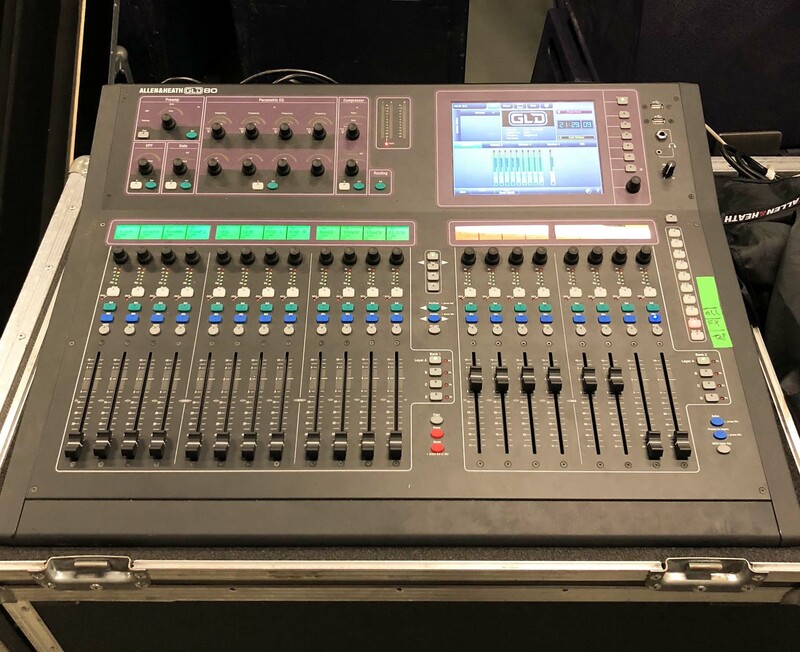 GLD-80 and GLD Remote can work together to provide simultaneous control of independent functions, for example one engineer using the console to mix FoH sound and another using the iPad to mix monitors on stage.